Preheat oven to 350°. 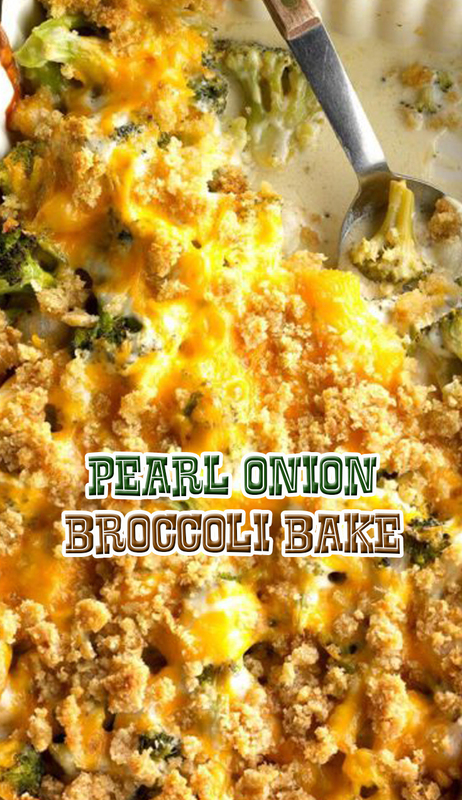 Cook broccoli in 1 in. of water until almost tender; drain. Cook pearl onions in 1 in. of water until almost tender; drain. Transfer both to a greased 13x9-in. baking dish. In a large saucepan, melt 1/4 cup butter; whisk in flour, salt and pepper until smooth. Gradually whisk in milk. Bring to a boil; cook and stir until thickened, 1-2 minutes. Reduce heat; stir in cream cheese until blended. Add to vegetables; stir gently to coat. Sprinkle with cheddar cheese. Melt remaining butter; toss with bread crumbs. Sprinkle over casserole. Bake, uncovered, until topping is golden brown, 25-30 minutes.